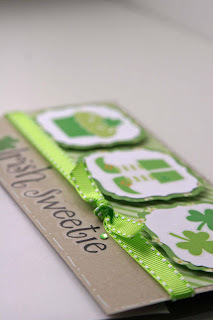 Liz's Paper Loft: EAD Designs Monday Hop and Give Away! 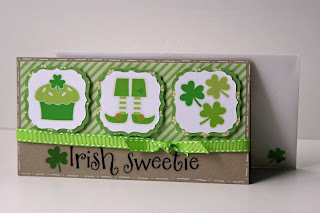 Happy Monday and welcome to EAD Designs Monday Hop, this week's theme is " Going Irish"! 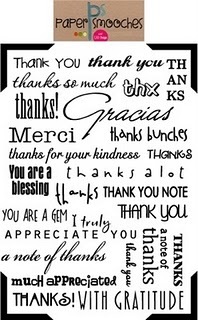 If you arrived from EAD's Blog you're in the right spot! I'm the first designer this week! Do you know what that means?! That's right! A give away! Before I get to that, let me show you my card! I just love EAD Stickerz, the designs are so clean, crisp and so easy to use! So here's the best part...the give away! 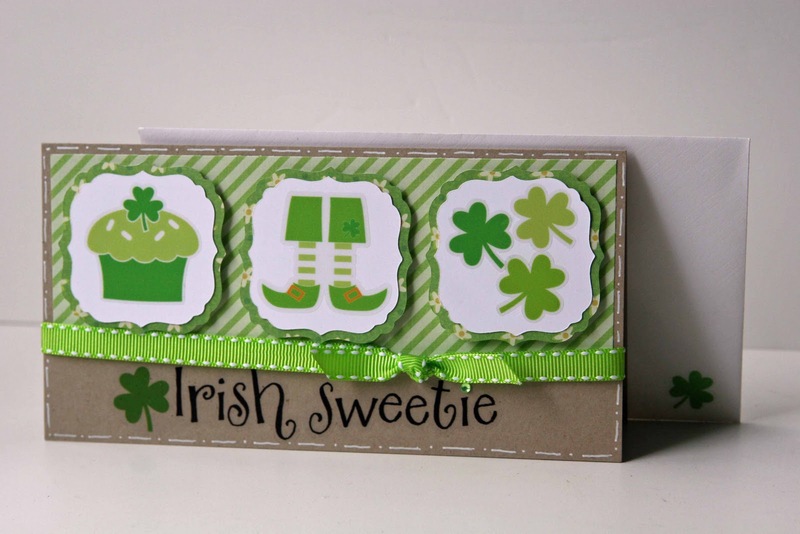 Leave a comment today and I will pick a winner on Tuesday, and the winner will get to choose either "Irish Sweets" or "thank you sentiments ~ rub ons"
Your next stop on this fabulous hop is the super cool Amy T! love this card!! nice work! Adorable card, Liz! I love the layout of it - so cute! Cute card. Didn't even know these weren't stamps. What a cute card! Love the squares. Would love to try tthese stickers. TFS! Great Card Liz! If I qualify, I'd love to TRY them! LOVE THIS! St. Patrick's Day is my favorite! In Rhode Island it is a month long celebration with all the parades! i would have said rub-ons until i seen the ead stickers. those are adorable. so the sticker are what i would choose. Love your card. St. Patrick's Day always reminds me spring is just around the corner. TFS and a chance to win. What a great card! I love the shoes and stockings. 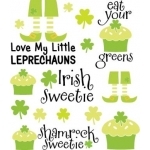 Thanks for sharing your awesome St.Patrick's day card! I thought it was stamped! 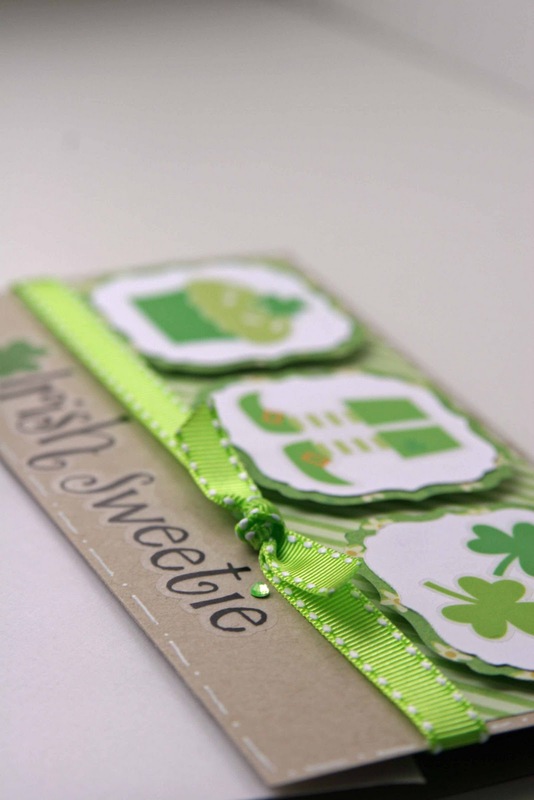 I love using my Lacy Labels cart for cards, so many great shapes. What a fun and cute card! Love it! I love the card. Aren't we all Irish on St. Patty's day? wow! those are kickin stickerz!I love your card!